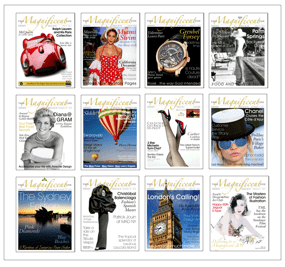 The TML team spend their time searching out stories about people, places and things that can make life magnificent. Some of the stories we write celebrate local achievers bringing pleasure, knowledge and uplift to a modest circle of admirers. The wider world may never know them. Other times we get to play on a world stage, when we are invited to experience pleasures of the kind we imagine are savoured with some regularity in the palaces and penthouses of billionaires. 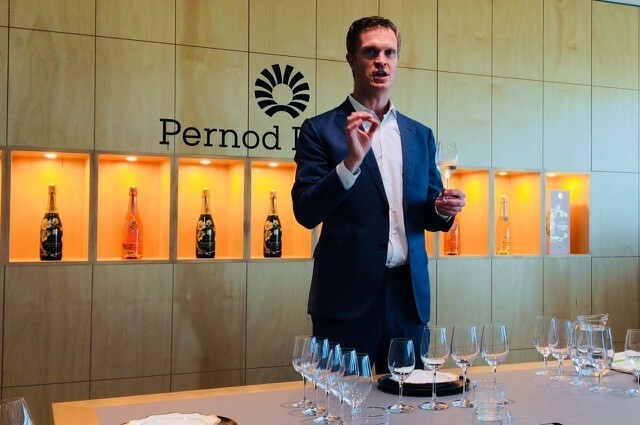 The mighty Pernod Ricard Company, custodian of many of the world’s finest beverages, has its headquarters very high above Sydney’s Barangaroo district. Way below the re-purposed precinct now bubbles with dozens of smart shops cafes restaurants and bars. As we look out across the Bridge, the Opera House and Harbour towards the Tasman we note a blank space just beside us. The new casino is not much more than a hole in the ground. We all hope when it is built it doesn’t hinder the view we now drink in. Because today, if we were discussing New Zealand wines you could almost point out the vineyards from here. But we are on a Northern Hemisphere indulgence. 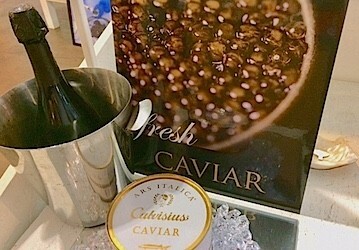 Champagne with a Capital C, and Caviar, likewise. 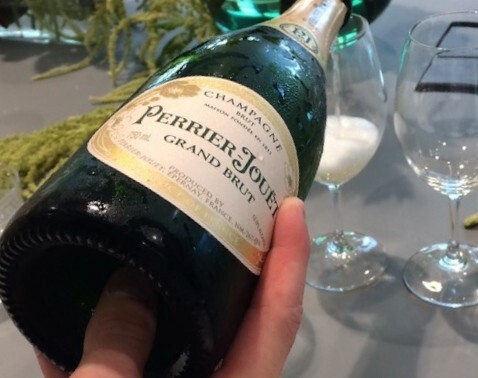 Among Pernod Ricard’s portfolio is Perrier-Jouët one of the most romantic of all champagnes. 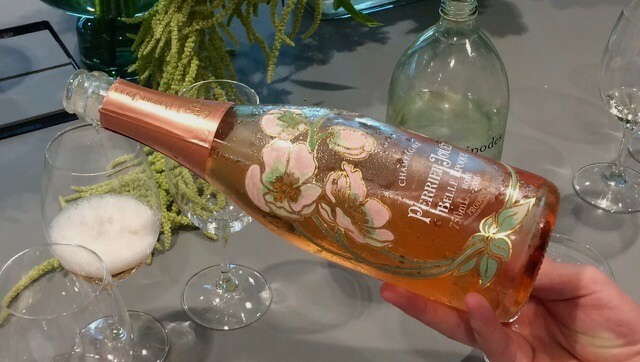 The Perrier-Jouët Belle Époque bottle with its bouquet of anemones embracing its curves in a classic 1902 Art Nouveau pattern is one of the prettier sights in the drink kingdom. 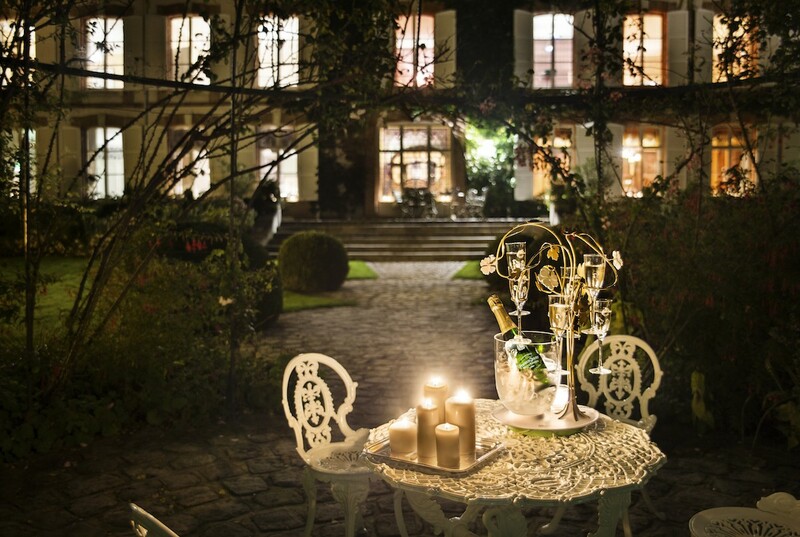 The House was founded in 1811 with the marriage of Pierre Nicolas Perrier and Rose Adélaide Jouët. By 1815 they were exporting their bubbles to England and in 1837 to the USA. 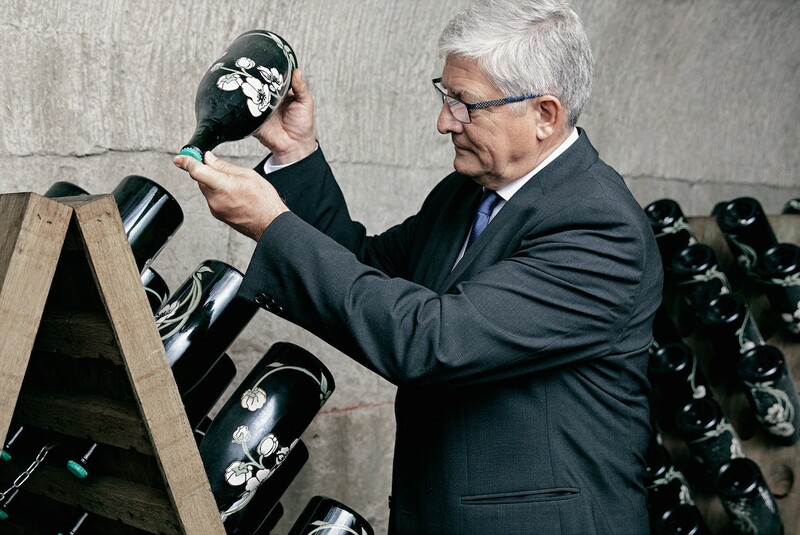 The current Perrier-Jouët Cellar Master, Hervé Deschamps, appointed in 1993 is only the seventh to occupy that demanding position in two centuries. 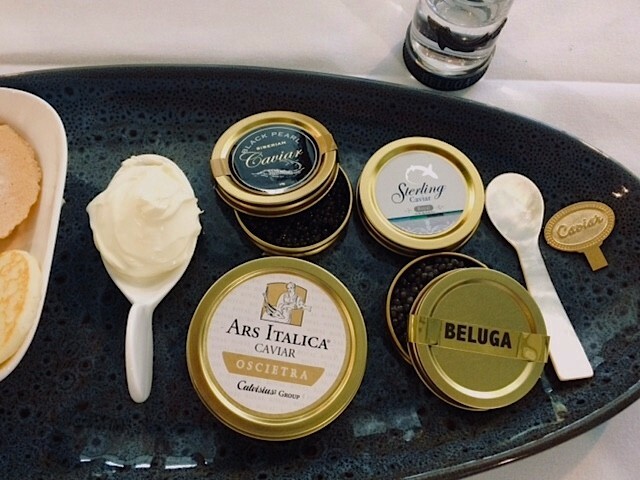 We are here to taste his current offerings alongside the appropriate accompaniment … a selection of caviars. 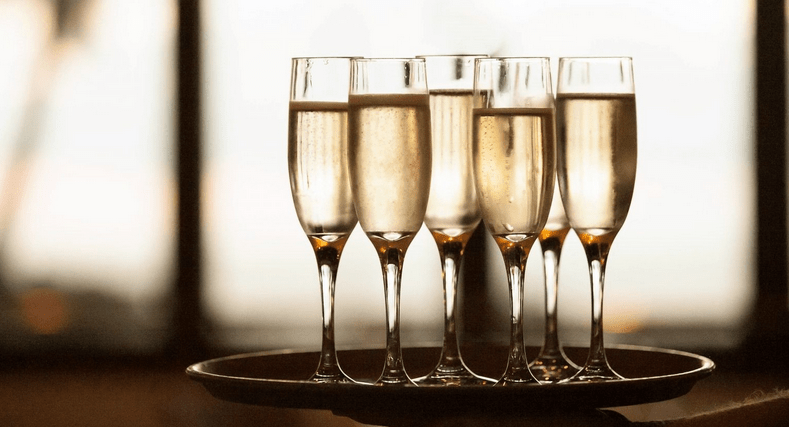 Our host and mentor is P-R’s Champagne Ambassador and Educator, Chris Sheehy. Let a soft and gentle pop start us off. 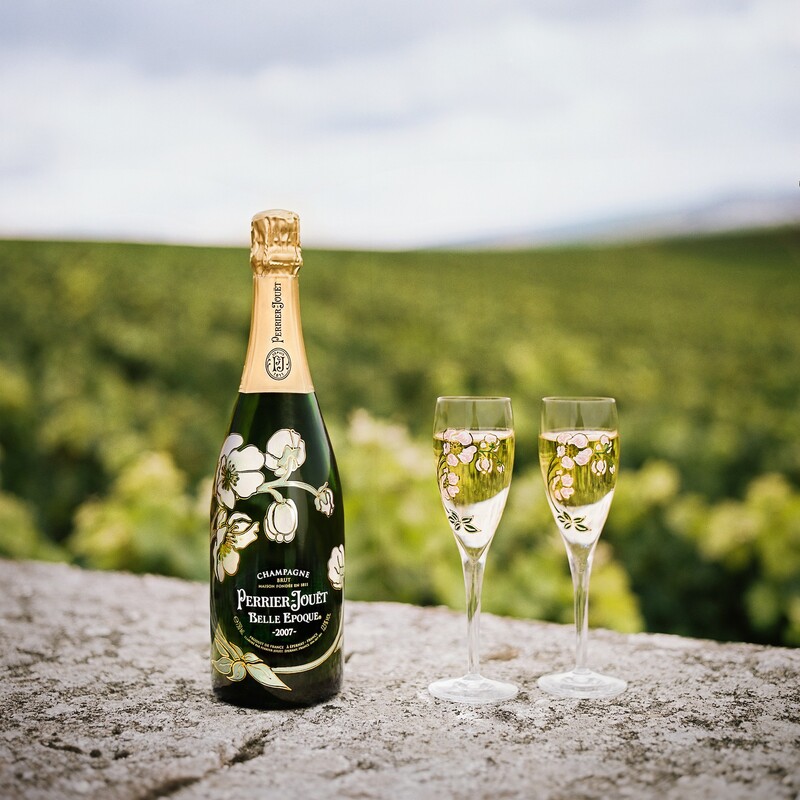 Deschamps describes it thus: “ … the perfect introduction the House style, an alluring champagne that expresses the floral elegance of Chardonnay.” Exceptionally generous. A huge whoosh of classic limey peachiness. Full of layers and textures but elegant and refreshing to finish. 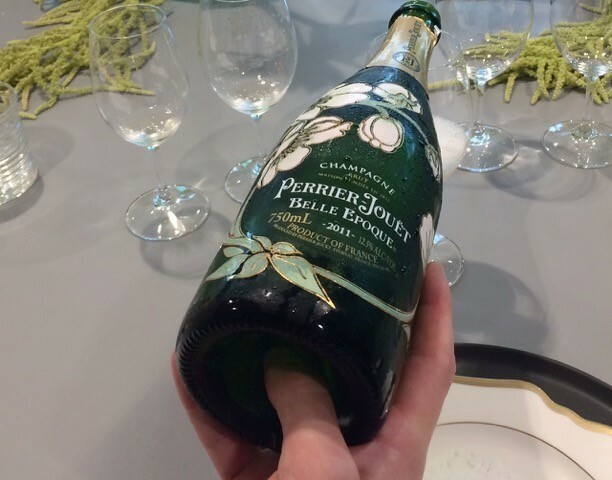 Perrier-Jouët Blanc de Blanc. 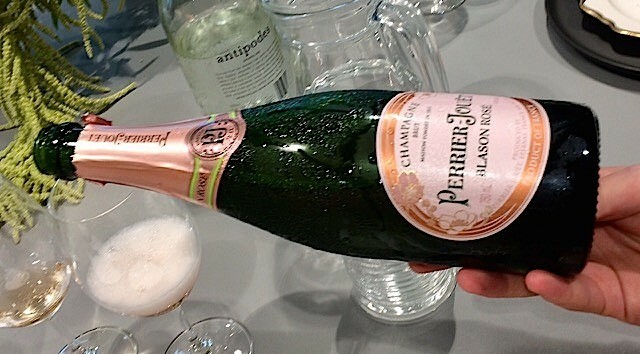 The Signature Cuvée. “ …distinctive for its freshness and floral vivacity, an exemplary tribute to Chardonnay, the signature grape of the House.” So light, bright and delicious. Not big and boisterous but with purity of fruit and flowers that lingers. Chardonnay from Cramant in the heart of the Côtes des Blancs. Hervé spent 20 years perfecting the parcels for this blend. One vineyard whose output he coveted had an 8-year contract to another House. He waited. Vivacious and alluring, a wine to compliment the bottle. Five years ageing but still so fresh and vibrant inviting an immediate second sip. A wine for lovers with time on their hands. A precocious pink colour leads you into a luscious, sassy, roll-in-the-mouth volume of flavours like strawberries and warm brioche. A glorious glass with which to watch the sunset on a perfect day. A softer gentler wine. Bright crisp and pretty on the palate. Subtle strawberries. Spiciness is noticeable. Clean fresh vibrant with a touch of firmness on the finish. An excellent wine with food. 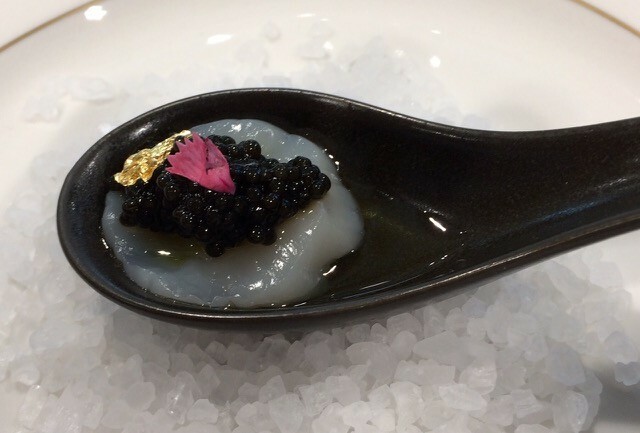 On a black spoon, we are offered fresh Hervey Bay scallops with a hint of cold-pressed olive oil topped with a teeny mound of caviar, Siberian Oscietra. Then locally caught tuna fresh from the fish markets at 5.30 that morning crowned with a dash of Sevruga and micro flowers. 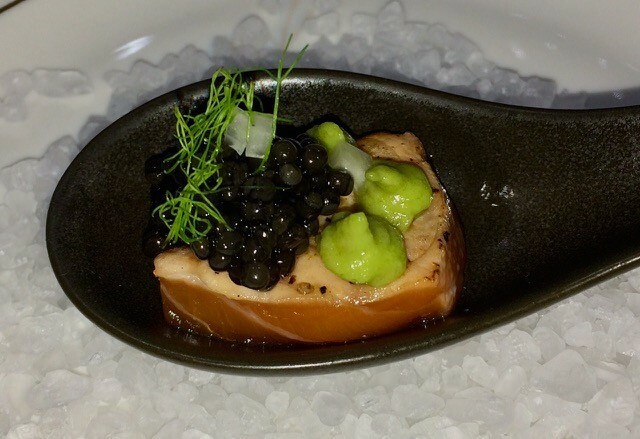 Next a spoonful of seared Tasmanian salmon with a modest mound of Beluga and tingly green enhancements. 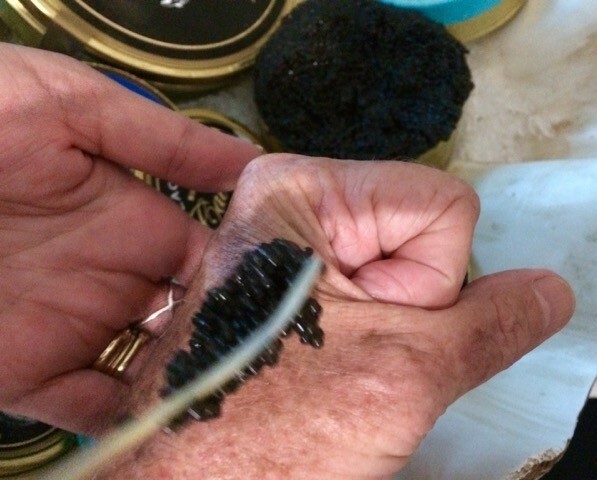 Finally, Lisa Downs, our Caviar Ambassador from Simon Johnson, shows us how a single-minded caviar tasting should be done. 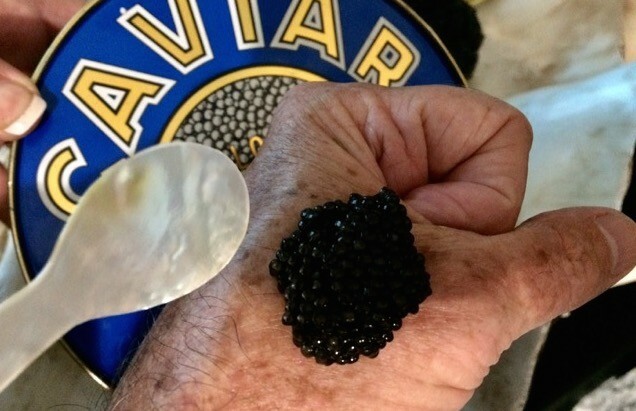 She generously offers a rather larger spoonful of the glossy black pearls, which are rested on the back of the hand. Once they attain body temperature they are taken into the mouth. There, the taste buds take over, dancing delightfully at the burst of buttery, nutty saltiness as the softness is crushed. 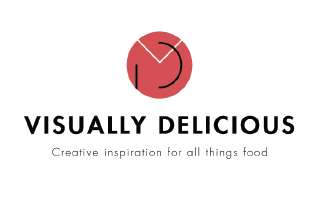 It is not your everyday mouthful. 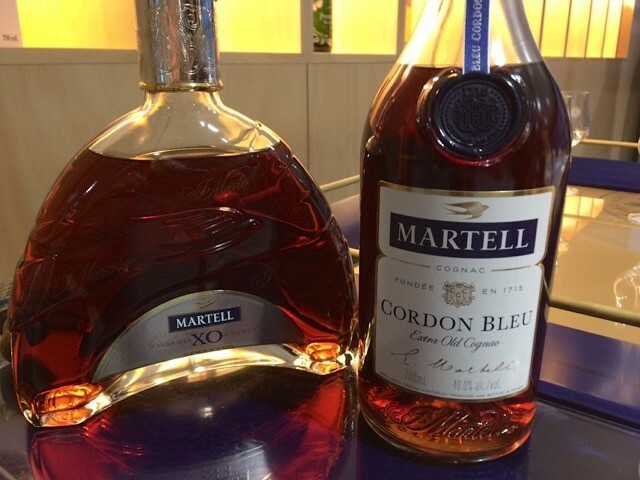 No, we haven’t had enough indulgence so we tidy up our taste buds with a sip or two of Martell cognac. A very fine beverage from the Pernod-Ricard’s list. We try an XO and a Cordon Bleu. 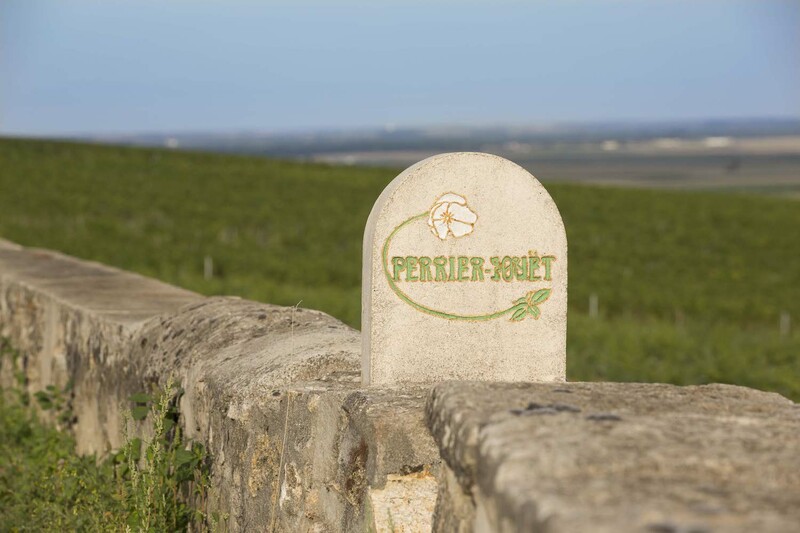 From a company founded in 1715 several hundred kilometres down to the south-west of Champagne. A totally different drink, but gleaming with the same purity and the power of tradition. It would be hard to find a tasting better than this one in a year of trying.